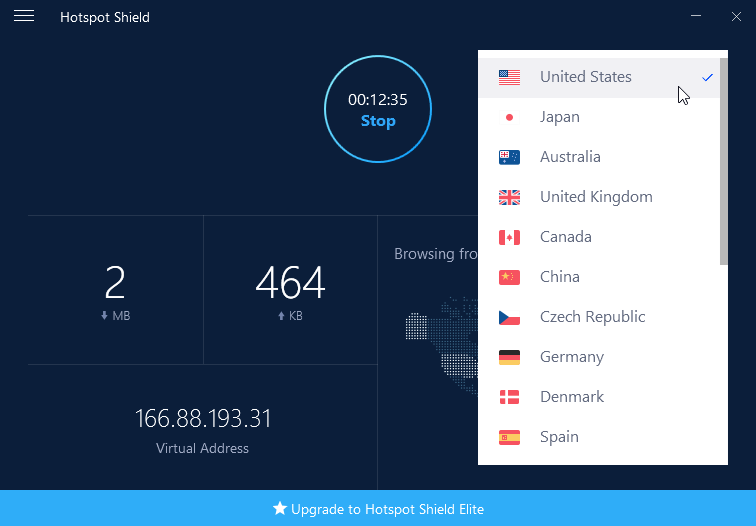 What's new in Hotspot Shield 7 (see changelog for more info)? Even though this software appears to be highly rated by stupid online reviewers it is in fact an extremely bad and intrusive piece of software because it uses the Conduit push ad engine to bombard your browsers with all kinds of unsolicited and unwanted ads that you cannot get rid of. And it is also extremely difficult to erase, delete or otherwise banish the stealthy Conduit engine software that it installs without your knowledge or approval in your computer. Be very, very wary of this software. There are better free anonymous surfing softwares out there to choose from. Which is a reason why we only gave it a relatively low-average rating.